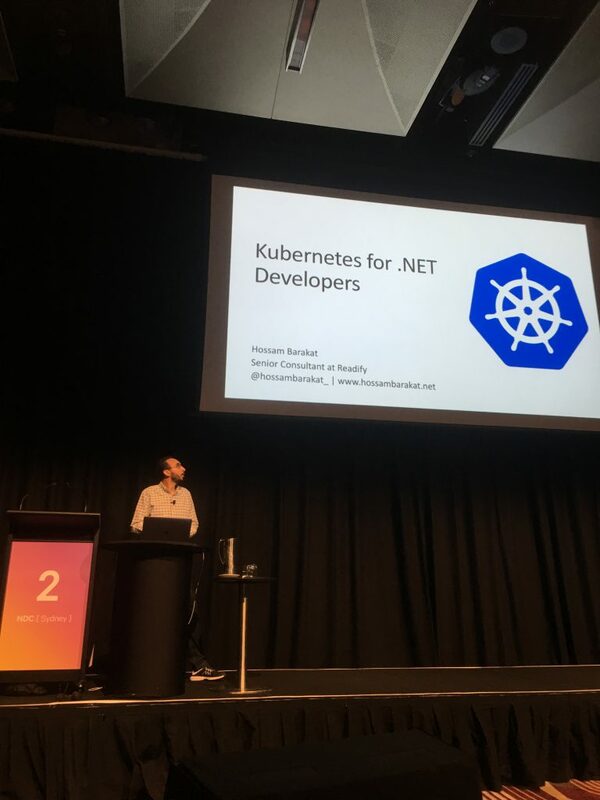 Just got back from a wonderful week of geeky goodness at Sydney’s Norwegian Developer Conference (NDC) with many insights gained of Docker and Kubernetes, dot net core performance improvements and cross-platform development with MVVM light. Kubernetes and Docker on Windows with dot net core is just awesome. Hossam Barakat had a great presentation where he demo’d all the relevant things to create an ASP.NET website backed by a SQL Server database. This would have to be my favourite technology presentation of the conference. Coming a very close second would be Regan Murphy’s presentation on Docker for Windows. He explained in clear terms the steps required for the Windows container to run and the hurdles of COM registration inside the containers. There was also some security requirements covered which are too deep to explain easily here. Regan has graciously provided his slides where more information can be obtained at his GitHub here. Subsequent posts with further content will be available in the coming weeks as I get time to review and myself prototype solutions based on the information gathered. Much appreciation to all those who took the time to prepare and deliver presentations, and the organisers who collated and organised such excellent tracks of content.